Discover the benefits of SmarterPath today! SmarterPath is a workplace learning add-on for your existing enterprise social network (like Office 365 or Jive) – and now you can take it for a free test drive! There’s no need for login details or to arrange a demo, because the new SmarterPath Tour is here. We’re excited to announce that as of today, you can experience SmarterPath without having to log in or arrange a demo. SmarterPath is a workplace learning add-on for your existing enterprise social network (ESN). This means it is not just another tool, but can easily be integrated into your existing intranet. SmarterPath enables you and your colleagues to create knowledge paths from existing content, allowing for knowledge to be easily passed on and shared. It gives you the possibility to combine knowledge sharing and social collaboration within your business community, without the lengthy process of designing and producing e-learning modules. It’s simply about using and integrating existing content more effectively in your daily work. 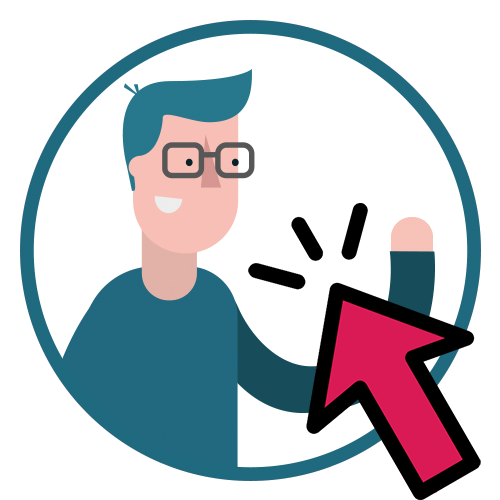 At https://smarterpath.net/tour/, you can find the new SmarterPath Tour – an interactive prototype that gives you an overview of the most important features, functions, and benefits of SmarterPath from a user’s perspective. Create your very first path right now! Let Mr. Smart guide you through the tour and experience for yourself the many possibilities that SmarterPath has to offer – including the integration of new and existing content from both internal and external sources, and the creation of diverse multimedia content. SmarterPath lets you incorporate videos, PowerPoint presentations, Word documents, and much more! This allows existing content to be upcycled and, if necessary, supplemented with new content at any time, preventing it from gathering dust on your SharePoint. It also allows you to integrate contacts via Delve or Jive Profile for even more personalized knowledge paths. Plus, if more information is ever required on a knowledge path’s content, it is immediately clear who to contact. 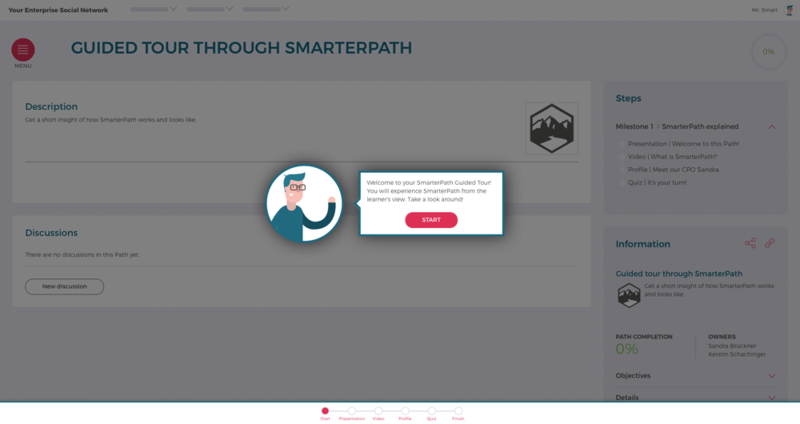 You can test your newly acquired SmarterPath knowledge with the short quiz at the end of the SmarterPath Tour. Still wondering if SmarterPath is right for you? The short answer is yes – if you’re interested in new possibilities and opportunities in the areas of workplace learning, effective knowledge management, and the meaningful recycling and upgrading of existing content (content upcycling) and want to stay on top of what the modern digital workplace has to offer. SmarterPath provides so many options for effectively sharing knowledge in a digital workplace and for tracking the progress of your employees. Feel free to get in touch any time if you have questions or a topic you wish to discuss! Psst! Did we mention that SmarterPath is now also available from the Microsoft Marketplace? As a bonus, you will receive a free 30 day trial version of SmarterPath with 3 predefined paths that you can test in your own Office 365 environment! For more information click here. 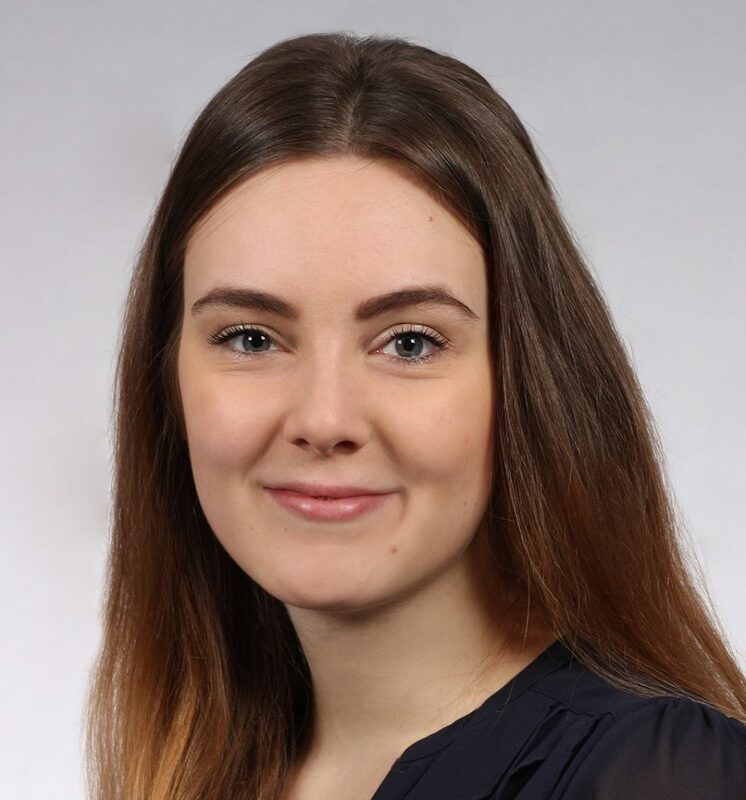 Anna Schade is currently assisting Pokeshot’s marketing team as a student trainee while she completes her master’s degree in digital media and communications culture at TU Chemnitz. Prior to this position, she gained experience in marketing and communications through a variety of internships.